Welcome to TickPick’s Staples Center Seating Chart. Here we will cover everything you need to know before purchasing Cheap Staples Center Event Tickets, including helpful tips, row and seat numbers, team bench locations, and more. Whether you’re going to a concert, Los Angeles Clippers, Los Angeles Lakers, or Los Angeles Kings game, we’ve got all the information you need to decide which seats to buy. Expert Tip: The 100s verse the 200s are very similar, however the 300s are significantly worse. The Kings shoot twice on the side with section numbers 114 to 117. The Kings Bench is located in front of section 101-102 and the Visitor’s Bench is in front of section 119-101. If you are looking for tickets in the 100s do not pay a premium for rows 3 to 10, instead, look for the tickets higher than row 15 (for the best views). This will allow your view to clear the glass and make it easier to follow the play. When comparing sightlines, tickets in the premier sections are just as good if not better for Kings hockey games. TickPick uses algorithms to make sure you get the best bang for your buck and charges no service fees, so when you shop for Cheap Kings tickets on TickPick you know you are getting the best deal! Note: The LA Clippers and LA Lakers seating chart is the same exact seating configuration, except some small differences with the court-side and baseline seats. Court-side seats are located in front of sections 100, 102, 112, and 119. They are in front of row 1 and are labelled row A or B. Sections 105-108, 115, and 116-117, also have lettered rows in front of row “1”. Rows A thru M come before Row 1, so row 1 is actually the 14th row. The LA Lakers and Los Angeles Clippers Bench is in front of section 119 and the visitors bench is in front of section 102. Seat numbers are consistent for every section: the lower seat numbers are always closer to the section next to it with a lower section number. Seat 1 in section 111 will be on the aisle next to section 110, and seat 21 will be on the aisle next to section 112. This is true for all hockey and basketball games as well as concerts (even for the floor sections). 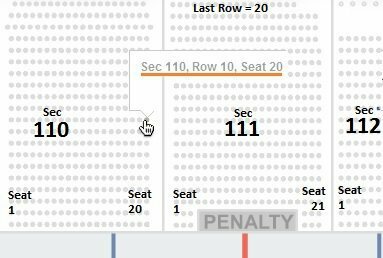 These are the closest seats to the action for any King’s hockey game (row 1 is against the boards), but for the Clippers, Lakers, and concerts these sections are extended so that there are letter rows in front of the number rows. For all of the 100s sections (for non hockey games) there are between 2 and 13 additional rows, except for the corner sections which don’t have letter rows in front of row 1. There are typically 20 to 22 seats in a row, the corner sections will have a lot less seats per a row in the lower row numbers. These single and double digit sections are the lowest numbered, but not the lowest sections. The Premier Sections are mid-level. Premier Sections begin with Section 1 located in the corner of the stadium and continue along the width of the arena until Section 9. The same thing occurs on the opposite side of the stadium, beginning with section 10, and ending with section 18. These seats get their name for a reason. Premium Seats come with in-seat food and drink services, VIP entrances and exits, preferred parking, and complimentary entrance to the San Manual Club. They share the same mid-level as the Premier seats but without the amenities. The 200’s sections are located on the ends of the arena and are on the same level as the premier sections. Suite Levels A, B, and C are located between the 200’s and 300’s sections. Suite Levels A and B are horseshoe shaped, beginning in a corner of the arena at Suite 1 and continuing clockwise 3/4ths of the way around the arena, ending at 56 for A or 62 for B.
Suite Level C wraps all the way around the arena, but the Suites at the end of the arena are labeled E, followed by a number. These seats have the same amenities as the Premier Sections. These are the upper level seats. They are the most economic option, but also the farthest up. Rows: Using the interactive seating chart for the Staples Center above you can hover over any section and see the number of rows in each section. Seat Numbers: The seat numbers for floor sections follow the same logic as the rest of the venue, therefore, seat 1 in any section will be closer to the adjacent section with a lower section number. For example, seat #1 in section Floor 2 (F2) will be on the aisle closer to section F1 and seat #14 will be next to F3. Any seats in the first 10 rows of the center floor section are considered “the best seats”. Seats in rows 11 to 20 are great as well. For concerts we don’t recommend sitting in section 4, 5, or 6 on the floor. The floor has no elevation so the likelihood is that your view will be blocked. You would be much better off with seats in the 100s. Seat 1 in F1 and F4 (is on the left side of the stage when you are facing it) is the farthest from the center of the stage, so the higher the seat number the better the seat in these sections. However, when looking at tickets in section 3 or 6, the lower the seat number the closer you are to the center of the stage. Because most people don’t know this, the best Staples Center concert seats (at the best prices) are the side floor sections that are closer to section 2, such as the high seat numbers in section 1 or low seat numbers in section 3. The best seats off the floor are sections 112 and 119, sections 101 and 111 being the next best. When looking for concerts tickets on TickPick, we use algorithms to help you figure out what’s the best seat for the best price, via our score report. The 15th row in section 112 is somewhat equivalent to the 10th row in section 111, which would be equivalent to the 5th row in section 110. So a simple rule of thumb is that the difference in view, from one section to the next, is the same difference one would encounter by moving up or down 5 rows. The premier seats and section 200s are actually very close and sometimes similar to the 100s (see pictures below). Rows 17 to 20 in the 100s practically touch these sections, so the price difference should only be marginal. In our experience you can get good deals by going for lower row numbers in these sections verse the 100s. The further you get from the stage, the less important the exact seat location is & the more important price is. The 300s are significantly higher than the other sections. Therefore prices should be significantly cheaper, if they’re not, spend a couple extra bucks to sit in the lower sections. We know how annoying it can be to not know exactly what your view will be like for any event, so here’s the official 3D viewer with a picture from every section in the Staples Center. (The 3d views are officially, for the Laker’s seating map, but you can see 3d seat views of Staples Center for any event here). 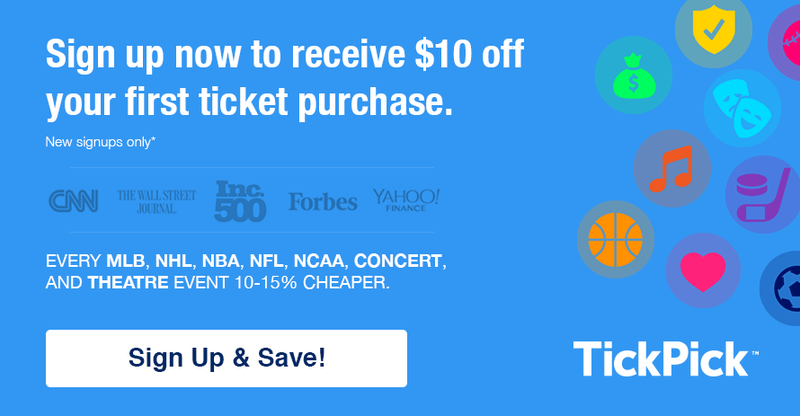 If you are overwhelmed, don’t worry, just find the Staples Center Event that you want to go to, enter your budget and let TickPick’s unique ticket algorithms find you the best seats for the best price! If you want more information on tickets, events, dates, or additional floor plans, check out our official Staples Center page. If you have a question about the Staples Center seating chart, take a look through the comments, if you can’t find what you are looking for, go ahead and leave your questions below in the comments.